Home » Individual Income Tax » Prepare to file your taxes UPDATE for 2018! Ready or not tax season is here! This means it’s more important than ever to gather all your paperwork. To help you get started, here’s a guide to help you prepare to file your taxes. 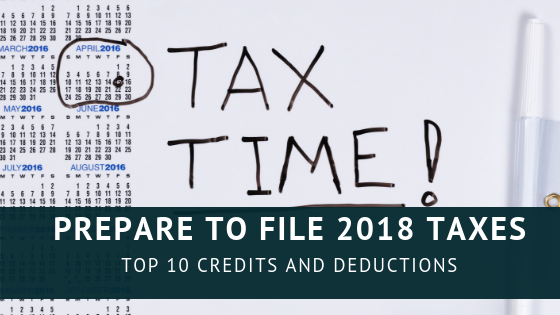 These are the top 10 deductions and credits taken on tax returns. Whether you’re planning on doing your taxes yourself or turning your paperwork over to a tax professional, there are certain documents that make the filing process easier and as accurate as possible. It’s more important this year to understand the impact the Tax Cut and Jobs Act will have on you. If you’d like to read more about that, check out this post. If you already understand tax credits, expenses and such, let’s get your paperwork in order. While not all of these items will apply to you, look over the list carefully to make sure you’ve got the ones that do. Gather the following paperwork for yourself, your spouse and any dependents. Remember not everything will apply to you, so don’t worry if you don’t have all of the following forms. Now that you’ve gathered all the documents you think you need. Here’s a list of other items that you might have missed. This list is important to help you maximize your deductions. Use the following to help you get the most out of deductions. Again, this is only a guide to help you prepare to file your taxes. First, let’s understand that the new tax law has upped the standard deduction amounts. Single has gone to $12,000 and married filing jointly is now $24,000. This means that many of you won’t be able to itemize deductions starting in 2018. If you think you can, let’s go over what is part of itemized deductions. If you think you’ll have enough to itemize, then this can definitely help you. I have also found some states allow you to take a deduction for charitable contributions on a state return even if you weren’t able to itemized deductions on your federal return. Include in charitable contributions any cash or property donations to charitable organizations like churches, schools, and nonprofits. Keep written proof of those donations (including the estimated value of your property donation) along with dates and items donated. I usually recommend photographing all charity donations as proof. Taxpayers in all 50 states are allowed to deduct either state income tax OR the state sales taxes paid for that year. However, unless you’ve made significant purchases in the past year and properly tracked everything, it’s probably easier and more advantageous to simply deduct your state income tax. Starting in 2018 there is a limit on the state and local income tax deduction. It is now capped at $10,000. For high-income earners, this might limit some of your deduction. If you live in a state with no income tax such as Florida, Texas and South Dakota. Here you’ll claim a deduction for sales tax you paid over the year. If you bought a big-ticket item during the tax year, like an RV, boat, jewelry, auto or home furnishings, this is where you can take the sales tax on those items. The mortgage interest starting in 2018 is allowed for up to $750,000 of your home mortgage loan. You can also claim real estate taxes and any personal property taxes like for vehicles and your RV. You may be eligible to deduct qualified medical expenses including dental costs, doctor visits, prescription drugs, medical equipment, health insurance premiums, and even mileage to drive to appointments or the hospital. If your total cost for the year exceeds 10% of your adjusted gross income, you can itemize these expenses. It is important you have receipts and records for all these expenses. You may even be able to see some of these records on your health insurance website should you have a login. You can claim childcare expenses for qualifying dependents age 13 or younger (up to $3,000 for one child or up to $6,000 for two or more children) under the Child and Dependent Care Credit. 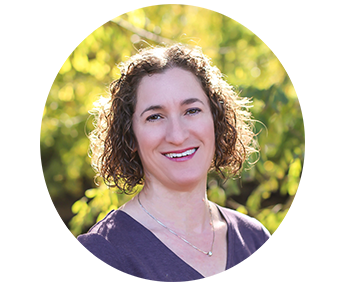 This is an important credit since childcare costs are hardly inexpensive. You must have paid the expense so you can work and it must be a qualifying child care facility or provider who provides you with the necessary paperwork. If you’re paying for aging parents or a handicapped family member of any age, you may also qualify for the Child and Dependent Care Credit. The deduction amounts are the same as for childcare costs, but you can apply them to caring for a person of any age who is physically or mentally incapable of caring for him/herself. Again, you must have the proper paperwork from the care provider. Education credits like the American Opportunity Credit and the Lifetime Learning Credit can be subtracted in full from your federal income tax. Whether paying for your own secondary education or for a dependent, make sure to have any tuition statements (form 1098-T). There are income limitations for these credits, so be aware of that. If you’re a K-12 teacher, you can claim classroom expenses up to $250, so gather up receipts for any supplies and other materials you purchased for your students. I realize you may have spent more than $250, but that’s all the IRS will allow for the deduction. While there is no longer a tax credit for installing energy-efficient home improvements like insulation and windows, the Residential Renewable Energy Tax Credit allows taxpayers to claim 30% of solar energy property, fuel cell property, small wind energy property, and geothermal heat pumps. Keep all receipts and paperwork in order to claim this credit. You can also get credit for installing a station for recharging an electric vehicle in your home. Don’t miss this one should you have an electric vehicle. While the Residential Renewable Energy credit is non-refundable, you can carry any unused portion forward to the following year. If you had low-to-moderate income in 2018, you may be able to claim this credit. It is designed to help working people who earned under certain amounts for a household. To find out if you qualify, visit the IRS EITC Assistant. For low-to-moderate income earners, this credit allows you to claim a credit for retirement contributions up to $2,000 for individuals and $4,000 for married filing jointly. This is a great credit to take advantage of while also saving for retirement. This is known as the savers’ credit. Is it time to take advantage of it? This credit is still available to those with dependents. Starting in 2018 it has increased to $2,000/dependent. You definitely don’t want to miss out on this credit should you have children or even an elderly parent you support. If you’re like many who graduated from a higher education institution, you can take a credit for your student loan interest. The credit is up to $2,500 of interest on these loans. Every little bit helps, right? You can take this deduction if you made qualifying contributions to a traditional IRA account in 2018. You can contribute up to $5,500 to an IRA and if you’re over 50, you can contribute up to $6,500. If you have the extra money to put away for retirement, I highly recommend this deduction. This is a new deduction for 2018. Simply put it is a 20% deduction for anyone who is self-employed including partnerships, S-Corp owners, and sole proprietors. It is a deduction for up to 20% of W-2 wages or 20% of taxable income. Again, this is a new deduction for 2018. I think it’s a pretty important one for all those small business owners out there. While this list isn’t comprehensive, these are the most popular deductions. If you think you qualify for a credit or deduction for something, be sure to research and understand the rules behind it. Alternatively, you can be in touch with your trusted tax professional to help you out with saving the most on your taxes. Before you start diving into your taxes, spend a few hours making sure you have the proper paperwork. The IRS has the right to ask for your documentation, so keep your files organized and store everything in a safe place. I recommend keeping electronic records using a cloud service like Dropbox or Google Drive. Gathering the necessary paperwork holds the added benefit of making sure you don’t miss any legitimate deductions. By maximizing any deductions, you’ll be able to keep more money in your pocket which means more cash to pay off debt, invest, or build savings.